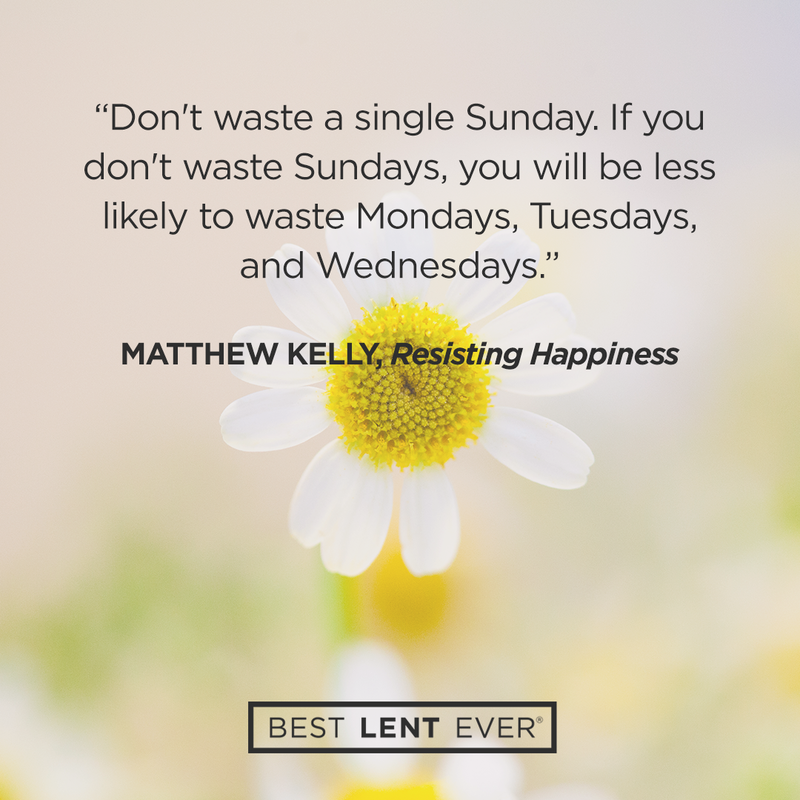 March 25: How Many Sundays Left? But when you think about it, people don’t change that much, you know. Do you know anyone in your life that has really changed their life? Who has really said, “No, I’m fed up. I’m dissatisfied.” And gone on a radically different path? It doesn’t happen that often. You know, and I think that it should happen more often than it does. You think about how short life is and think about how long eternity is . . . You know, do we think about heaven? Do we think about eternity? Do we think about, you know, what moments in our lives make the difference between what matters most and what matters least? And how will we see life differently when we’re on the other side? And how will we regret the moments we wasted? Because we do waste life, and man that is a tragedy. That is a tragedy. You talk to someone who’s dying and you ask them, you know, “What would you give for another day?” You know, “Another healthy day to do whatever you felt you wanted to do or needed to do, what would you give for that?” You ask that person, they know how important a life is. They know how important a day is. That’s your day today, go out and get it! Go out and get it. Do not waste a single moment today. Just today. Don’t worry about tomorrow, or the next day, the next week, the next . . . just today. Get out there, get a hold of life, do not waste a single moment today. Life is short. Never waste a day. Based on actuarial estimates, how many Sundays do you have left? Count them. God, I know every moment is a gift. Help me to break through resistance when I am tempted to waste the time you have given me. Today’s personal reflection features Dynamic Catholic team member Sam Milroy. Sam is our event team leader. She comes to us from Columbus, Indiana. Sam has been part of two two-mile relays, will drink coffee 24 hours a day, and has four nieces and nephews. If you had one Sunday left, what would you do?